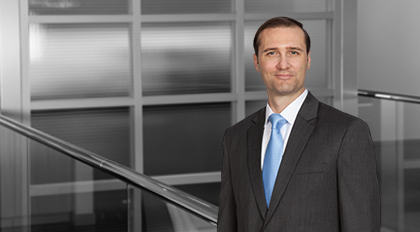 Nathan White is an Associate with the firm’s Litigation Practice Group and Regulatory Affairs Team. White provides financial services clients with counsel and assistance in managing domestic and international regulatory investigations. He supports his clients’ efforts to develop, sustain, and enhance proactive regulatory compliance and strategic engagement systems and controls. White also maintains a general commercial litigation practice. White has supported several multinational financial services clients manage cross-border investigations involving regulatory agencies in the United States and Canada, and multiple jurisdictions throughout Europe, Asia-Pacific, and the Caribbean/Latin America. He has provided guidance and insight to clients in the areas of corporate governance, regulatory engagement, and BSA/AML risk management and remediation. As part of his regulatory practice, White assists clients with complying with regulatory regimes such as Dodd-Frank and Sarbanes-Oxley. White helps clients develop and perform internal risk reviews such as Comprehensive Capital Analysis and Review (“CCAR”) exercises, and operational risk exposure scenario planning in areas such as BSA/AML violations and cybersecurity breaches. Prior to joining Moore & Van Allen, White served for ten years in the U.S. Air Force JAG Corps, including tours of duty in the United States, Europe, and Asia. He litigated a wide variety of criminal and administrative cases as both a prosecutor and defense counsel at the trial and appellate levels. White also served as an advisor to the Chief Judge of the Afghanistan Military Court of Appeals. White is proudly involved with the firm's Military Veterans Pro Bono Project and has assisted veterans with a variety of legal issues.